Parents of toddlers often worry about the amount and variety of food their child is eating; sometimes toddlers are fussy with food and reject the healthy stuff, sometimes they don’t want to eat anything, all of which can make mealtime feel like a chore. A new study out of the Aston Research Centre for Child Health in the UK found a technique that could curb fussy eating in children aged two to four years old, resulting in more vegetables being consumed. 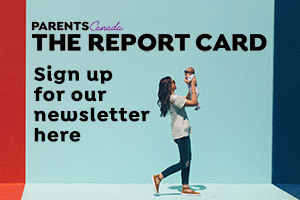 Children’s vegetable consumption was evaluated using a variety of parameters, and when parents used the three Rs – repetition, role modeling and rewards – during mealtimes, the study found that toddlers ate the most vegetables. Repetition means “repeatedly exposing a child to a certain food,” role modelling is “eating the food first and showing your child how tasty it is,” while “praising them for trying it” is the rewards part of the equation, according to Aston University’s news release. Registered Dietician Jill Wallace advocates another approach. The owner of Nurture the Future Nutrition follows the “division of responsibly” schema set out by child feeding expert Ellyn Satter. The system works if you stick to it, says Jill, because when there’s no pressure on toddlers to take a bite, eventually they will try the food that’s offered, because they look up to their parents and the other kids in the family, who are eating and enjoying the food. You have to remove pressure to eat and allow the toddler to start making their own food decisions, says Jill. Remember that kid and adult eating patterns aren’t the same. “Adults eat roughly the same amount every day, give or take, kids are all over the place. 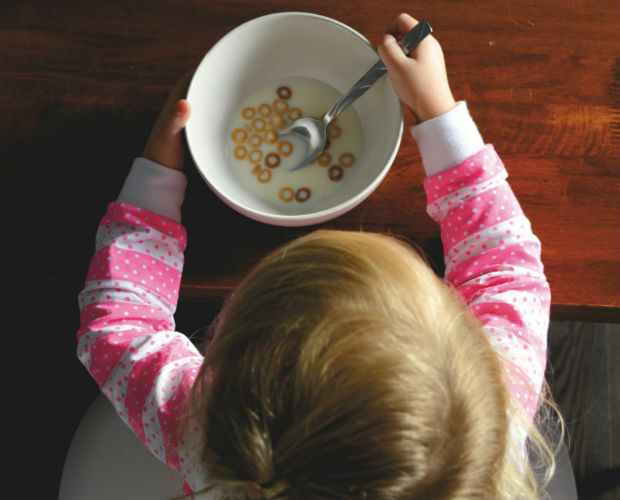 Some days they’ll eat a tonne, some days they’ll eat nothing.” Kids can learn to listen to their own bodies and discern whether or not they’re hungry. Schedule meals and snacks so that when mealtime rolls around, your kids are hungry. If kids are allowed to eat whenever they want throughout the day, they’re often already full come mealtime. Offer a wide variety of foods to your toddler, but without pressuring them to eat all the food, or even to take a bite. Know that presentation counts. A lot of toddlers don’t like different foods touching each other, so you can put it separately on a plate. Or change how the food is served. With zucchini, for example, you can offer it raw, cooked, grated, cut into sticks or baked into breads or muffins. When it’s in breads and muffins, though, tell them the veggie is there. There is no hiding vegetables. Involve your kids as much as possible to broaden their tastes. At the grocery store, have your child pick out a new fruit or vegetable each week. In the kitchen, toddlers can tear up lettuce, stir things or mix ingredients together. It may take longer to cook something (and the kitchen will get messier! ), but it’s worth it. Relax and, in the end, leave the focus on food behind. Parents fulfill their responsibility by deciding what, when, and where to eat, as previously mentioned, and then let it’s time to let control go. Mealtime is a great time to connect, discuss the day, and not worry about the food so much. Then mealtime becomes a positive, family time. Eat-more-veggies tip: grow a small container or patio garden. It’s a good way to get kids interested in food. If they planted the food and watched it grow, they’re more likely to want to try it. Ask Dr. Marla - How can I help my toddler eat better?